Are you an individual who would like to have your videos protected? You may be wondering if Facebook videos can be made private. Well, here is an article that will be of great help to you. 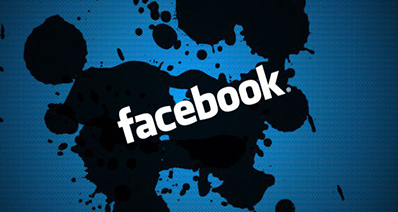 Having or posting videos on Facebook is a way of storing your videos on your Facebook account. However, you may need to download these videos from your account privately where no one else can access them. To do this, you need the best private video downloader like iTube Studio that allows you to download Facebook videos using a private mode. Read through this article to learn more. iTube Studio Video Downloader for Mac (or iTube Studio Video Downloader for Windows) is the best private video downloader for Facebook that can help you download your Facebook private videos. 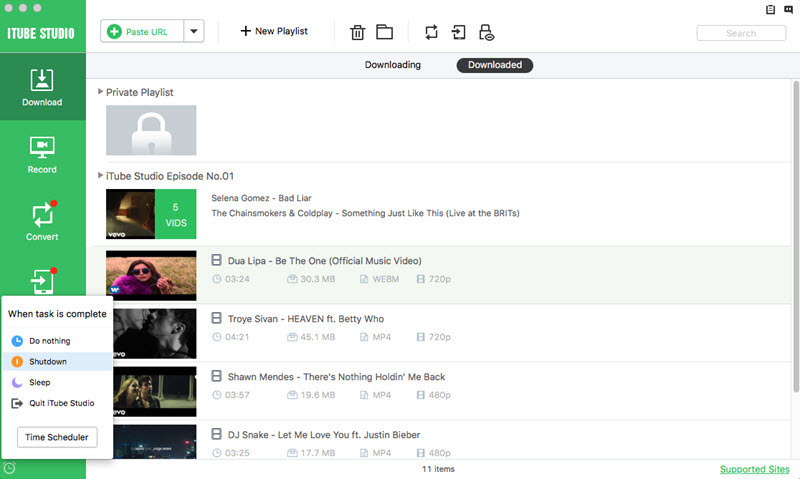 Besides Facebook, this private video downloader also downloads videos from other popular sites like Vimeo, Amazon, VEVO, YouTube, Instagram and 10,000 more others. Apart from downloading videos, iTube Studio Private Video Downloader can record, convert, play and transfer videos. Enable you to download private videos using a Private Mode and saves the files in a designated folder that you can access after you set the password. Support to download videos from Facebook and many other video-sharing sites such as YouTube, VEVO, DailyMotion, Facebook, and other 10,000 sites. Allow to batch download and conversion of videos. 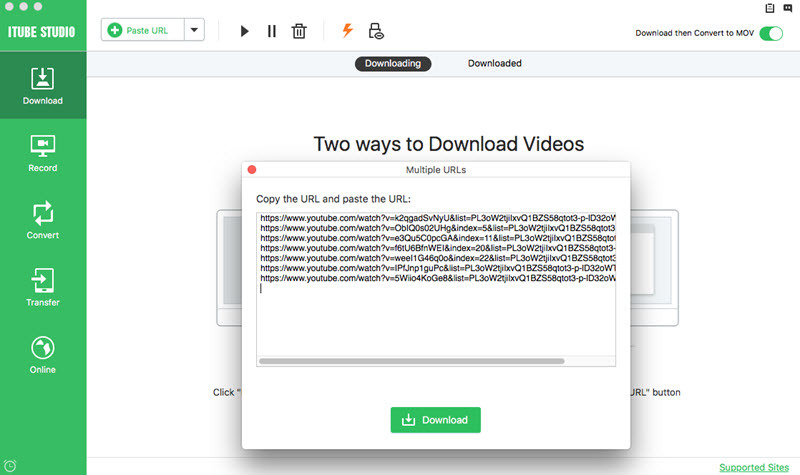 This private Facebook video downloader supports multiple videos and converts them all at the same time. Create your own playlists for the videos you have downloaded, as well as rebuild iTunes library using the downloaded and desktop videos. Equipped with a built-in media player that enables you to play downloaded and desktop videos without delay. High quality video recording by the inbuilt video recorder, which could be applied to any video sites even those unable to download ones. Using iTube Studio Facebook Downloader allows you to download Facebook videos secretly with a private mode. Below are the steps on how to do it. On the top bar of your iTube Studio Facebook Downloader window, identify a lock icon and click on it. Set a password for your private mode. You can also set it like thi "Do not show thumbnails of private videos", “Save private videos as hidden” under the settings icon. Next, go to Facebook to download your videos. You can opt to click the download button on your browser or copy the URLs of your videos and click the Paste URL button. Your private videos will be added automatically to your private list. 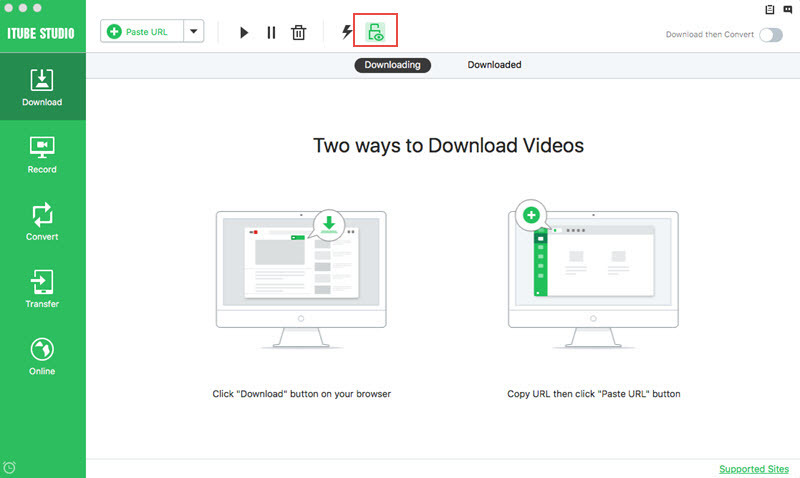 For the Download extension method, just click the "Download" button appeared by side of the player window, then this Facebook video downloader will initiate the downloading process. Go to the Downloaded tab to see the private list for your downloaded private videos. Click the tab and type in your password to unlock the folder. 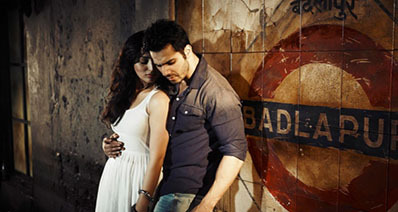 Thereafter, click the thumbnail on the display bar to play your Facebook private videos. You may add the private videos to transfer list or conversion list by the icon next to each list. 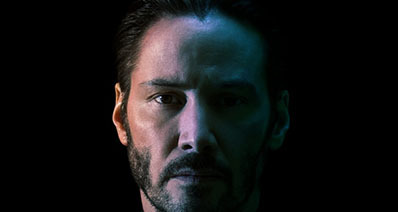 When you don’t want your Facebook items or your personal information to be seen by everyone in your friends list or the public, then there is need to make your account completely private. You can easily make your Facebook account private with the steps below. First log in to your Facebook account then on the top bar, click the lock icon. Next click “Settings” then “Privacy”. Step 2: Set your account’s Privacy. ‘Privacy Settings and tools’ window pops up. From here you can set your account privacy to how you want. Adjust your settings in the third column. Simply click on each item and from the drop-down icon select preference. You may choose ‘Only me’ or ‘friends’ to make your account only open to you or your friends and not the public. Step 1: Log in to Facebook to post video. First log Click on ‘make a video or ‘photo/video’ button to be able to post your video. You may also choose to post your video directly from your gallery. Step 2: Select your privacy option. While you are posting your video, click on the button next to “Post” button. The button has a drop-down icon. On clicking on the button, you will see a list of options on who should see your video. Select ‘Only Me’ if you want to be the only one who sees your videos on Facebook or the videos you post. Step 3: Post video on Facebook. Now you can post your video. Click the ‘Post’ button and the video will be posted to your account privately. Downloading Facebook private videos is made possible with the help of iTube studio software. 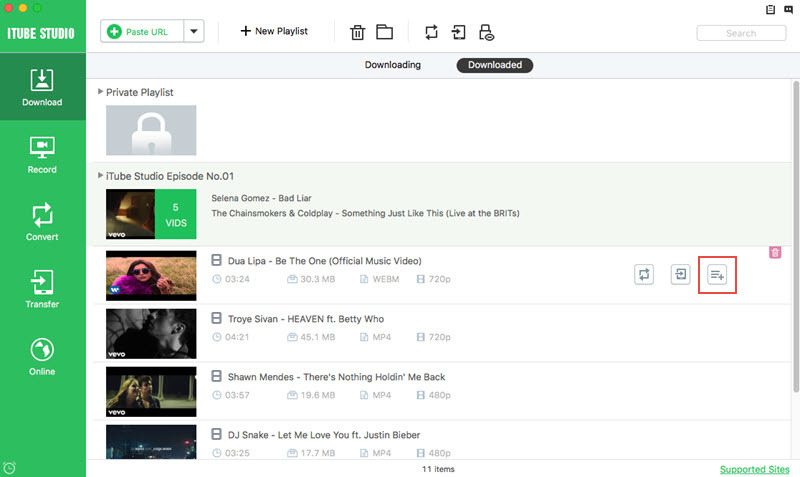 With its’ private mode, you are able to download the videos and save them in a password-protected folder. Moreover, one is able to make videos or post private videos on Facebook. It takes few clicks to make a video private on a Facebook account. Furthermore, you are able to make your Facebook account completely private and no one apart from you is able to see your personal information.